So, I always loved the sign(rather action!) language.. No confusion.. No complexity.. And people seem to understand it.. It was working like a charm every other time expect for this one! 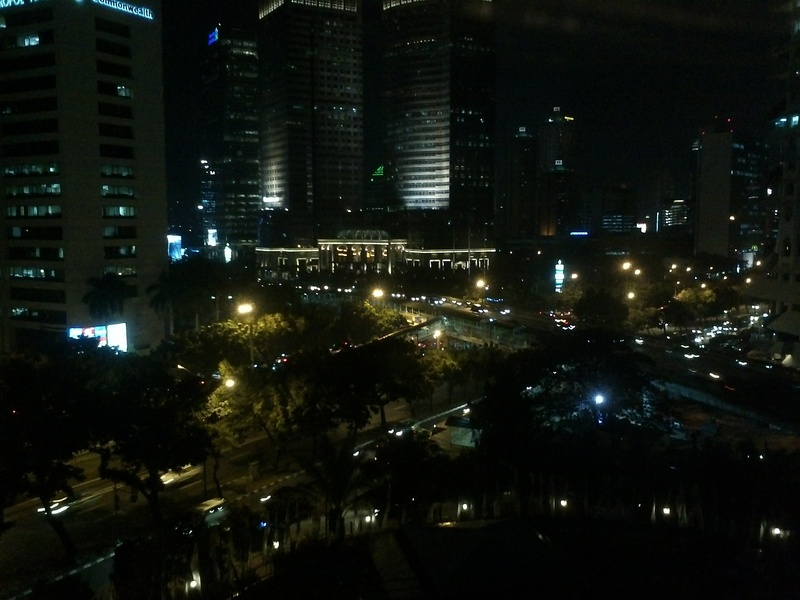 I was in Jakarta last September.. I was walking down the streets on this vibrant young urban city.. skyscrapers almost touching the sky. 8 lane roads.. dedicated transport lines. bicycle lanes, pathways.. Sure is a well planned one! Well coming back to this topic, I was just walking down the road mesmerized by the sky scrapers and taking some pics to make my visit memorable..
Well.. There there was this stunning size zero young girl wearing a short skirt with a pointed heels meddling with her latest black berry.. She just came out of her office and hoped onto a not-so-well maintained bike (something like our TVS 50’s in India) with a shabbily dressed guy! He for sure didn’t look her type.. I was thinking.. probably love is blind.. Then I saw that.. Not 1 not 2.. But a hell lot of them were hoping onto the bikes that were waiting near the office gate. With too much confusion, I stepped out of the store and started walking.. A guy in a 2 wheeler (again shabbily dressed) showed his fore finger at me and asked me to hop on with him on his bike.. It was broad daylight for crying out loud and it is Indonesia (A country which is pretty much conservative like India). Little confused and scared, I walked faster and moved away from there.. to my despair, there were a group of 4-5 guys standing and eating over there from a near by road side restaurant (not a restaurant ideally, but it was just a person who was selling some interesting Indonesian delicacies from his cycle) and they started singing some hindi songs (or rather that’s what I think it is) and started pointing their fingers at me and started calling me to hop on to their bikes..
Now, this was getting really crazier… People asking me to hop on every time they see me on the road..This didn’t sound good at all.. I knew that something was going wrong around me.. With too many thoughts bashing my head, I was getting scared as hell, so I decided to stop all my photo shoots and run my away back into the hotel… So, there I was, literally running on the streets of Jakarta..
My self analytic brain started popping too many questions for which I had no answer… Did I not do my search about this place properly? Should I cover myself with burkha in this blazing sun? A lot of foreigners seemed to be roaming around with their shorts.. but some how, they didn’t seem to have a problem. A jeans and a tunic match for every occasion.. Just a site seeing on the road.. shouldn’t be this crazy at all!! Lucky for me, I was not so far away from the hotel. I reached it in no time. A lady was standing inside the hotel lobby.. She saw me running for life and asked me what had happened? When I told her about my daring adventure of running for life from the goons.. She started laughing uncontrollably.. When she stopped laughing and told me the reason behind her laugh, I was literally sweating with embarrassment!